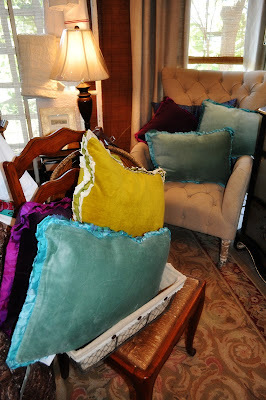 I cannot tell you how much I love the assortment of turquoise, purple, yellow, and patchwork velvet pillows that have arrived. Our little bed is stuffed full of them-they are reasonably priced and made of soft velvet outlined with a triple ruffle of silk. They add a punch of color to any bed or chair-I can see them on a bed for Fall & Winter or mixed and matched in a little girl's room. 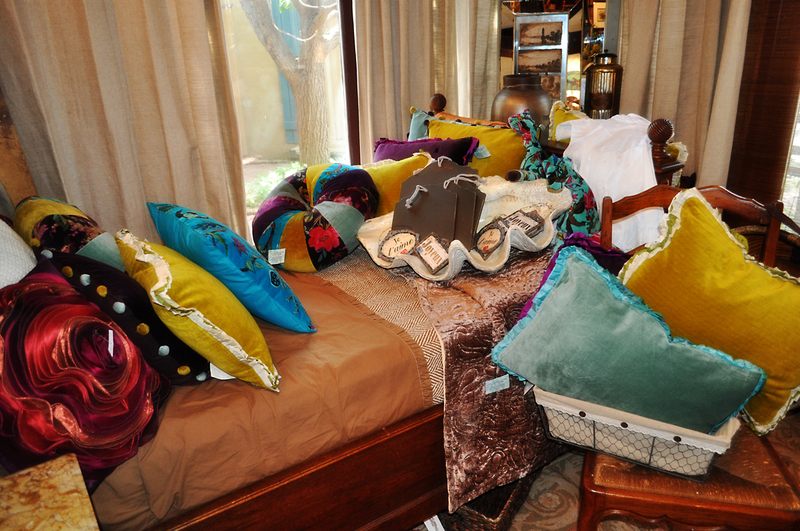 They are creative and fun prices range from $28.95-$42.00 each. Come try them out!